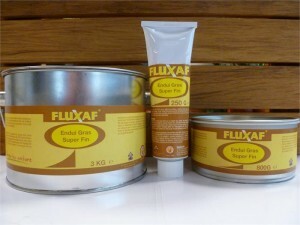 Latest offspring in the surface treatment range, Fluxaf® Enduit Gras surfin is the ideal product for your exterior and interiors fill-in works. 2: Enduit Gras surfin can easily be applied with a filling knife. 3: It hardly needs to be rubbed down due to its thinness. 4: Quick drying time, can be coated within 24 h.
5: The ideal finishing product for all professional wishing to achieve a perfect job.